Let’s face it, the dads in our lives do so much for us. Whether it’s our own fathers, grandfathers, husbands, brothers, or friends, they all try their hardest to make our lives easier and happier. They may work long hours to provide for their families, help cook, clean, and take care of the kids, or go out of their way to make us laugh. Father’s Day is a day to recognize all they do and show our appreciation. There are so many ways to celebrate your guy’s special day. These ideas will get the kids involved, and make it a day he’ll treasure forever. 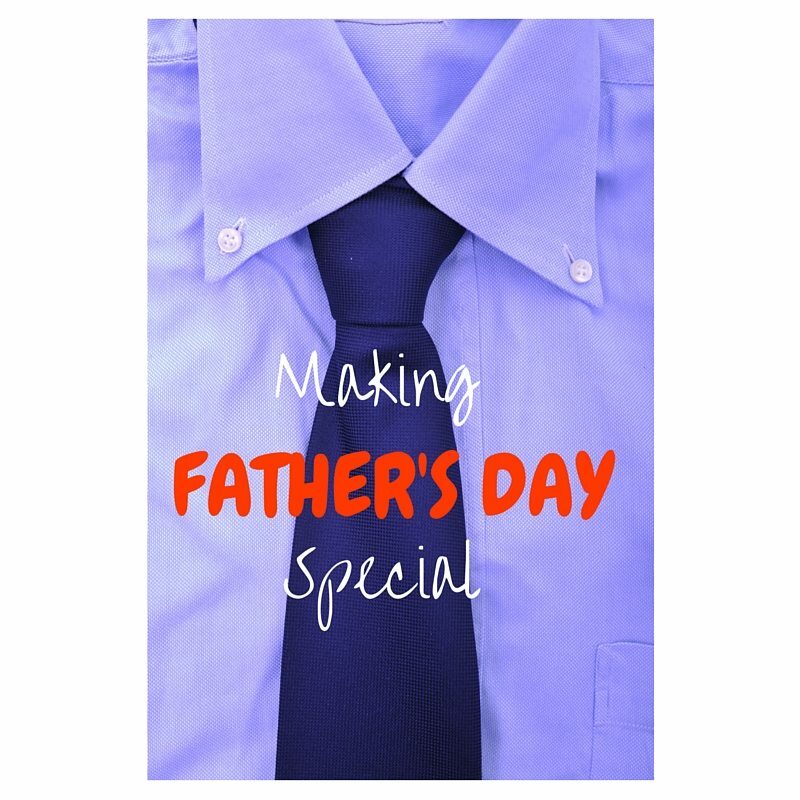 Since he works so hard every day, make Father’s day a stress free day. No cleaning, cooking, fixing, etc. Let him sleep in, and cater to his needs for the day. Get the kids to bring him breakfast in bed, bring him the newspaper, and even give him a back rub. Let him have control of the remote, and make sure all electronics are on silent for the day. Shower Dad with compliments all day long. Even if it seems silly as you say it, the constant flattery will really boost his ego. He’ll feel like the superhero we think he is. How better to keep a smile on his face all day long than with loving words from his wife and kids. Go all out and decorate the house for Father’s Day. Hang up signs, banners, and pictures of him. Think of a theme based on his hobby such as sports, fishing, or neckties. Buy or make his favorite foods. Have the kids make cards or paint pictures for him. Really make a big deal of him and his day. Have the kids write a letter to dad telling him all the things they love about him. They can share a favorite memory, or a funny phrase that he always likes to say. To make the day even more special, make sure you write a letter from yourself to your husband. Let him know what you think makes him a great dad. Add your appreciation, and be sure to tell him how much he means to everyone. Since it is Father’s Day, let Dad pick the activity for the day. If he loves to fish, but the family isn’t all that into it, indulge him anyway. Let him enjoy the hobbies he loves with the people he loves the most. Keep a great attitude and make it a fun day for everyone. Take a few hours and clean his vehicle. Make sure to get the inside too. Vacuum all the crevices, clean the spot on the carpet, and shine everything up. Leave a little gift in his cup holder such as money for his morning coffee, or change for the parking meter. It will bring a smile to his face when he leaves for work on Monday.